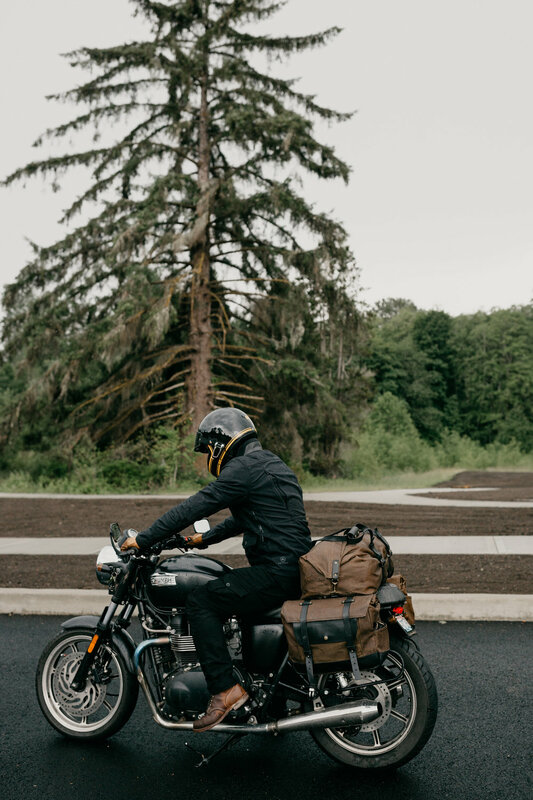 Pack Animal started after a three day motorcycle camping trip through Washington’s North Cascades — the first moto trip my husband Mike and I went on. After getting home all we wanted to do was head right back out again, but we knew we needed proper luggage since the big backpacks we used left us feeling super sore. 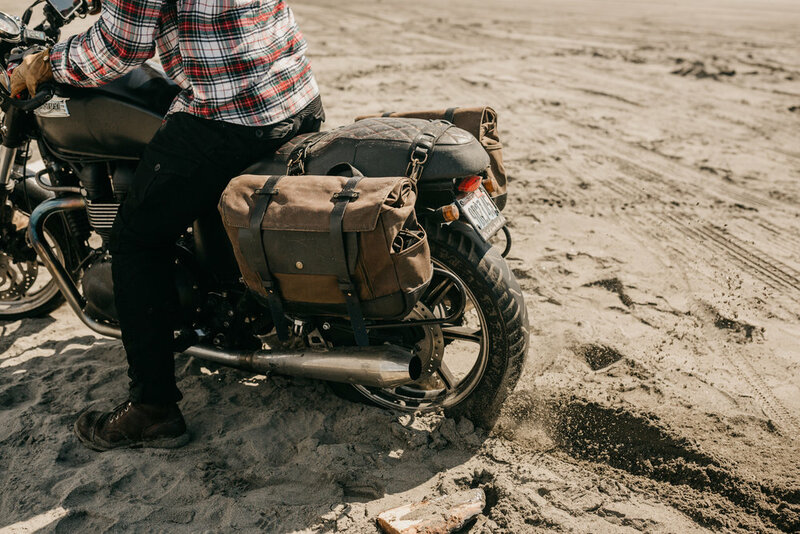 Both of us ride old Hondas and didn’t really expect it to be difficult to find luggage that would carry everything we needed and fit with the vintage aesthetic of our old bikes. We searched to the ends of the internet and only found two options, neither of which were very promising. With the help and encouragement of some friends we decided to try our hand at making saddlebags for ourselves. The first bag was finished just in time for me to head south to the second annual Babes Ride Out. Babes Ride Out is pretty special to me because it marks the beginning of a lot of things, personally and for Pack Animal. It was my first big solo moto trip and I remember heading home feeling inspired — it boosted my confidence as a motorcyclist and introduced me to this group of badass, diverse, and super friendly lady riders who are now some of my closest friends. 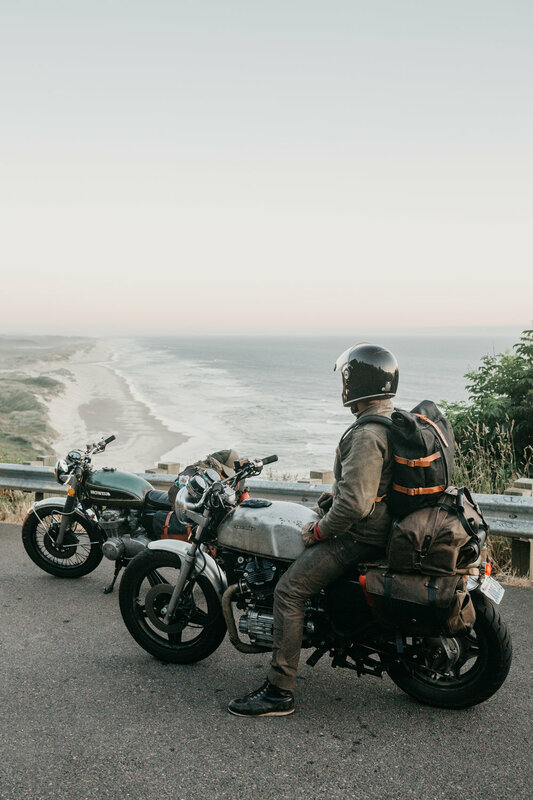 After bringing that first saddlebag to BRO2 and sharing a few photos online, the requests to make more started pouring in and we realized we weren’t the only ones looking for a new kind of luggage system. 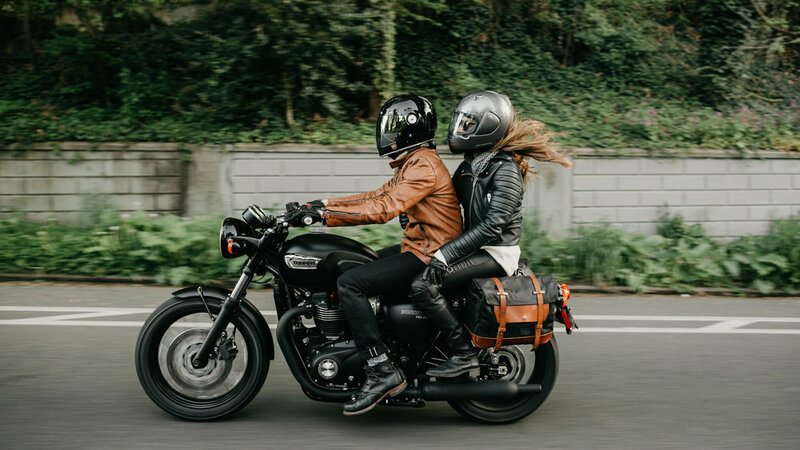 We spent a year planning, prototyping, and testing, before we launched Pack Animal on Kickstarter one week after Babes Ride Out 3, and it’s been a whirlwind ever since. Today, all of our luggage is made by hand in our Seattle workshop with a small team of four (including Mike and I). We’ve learned so much and we’ve made a lot changes since that first saddlebag. 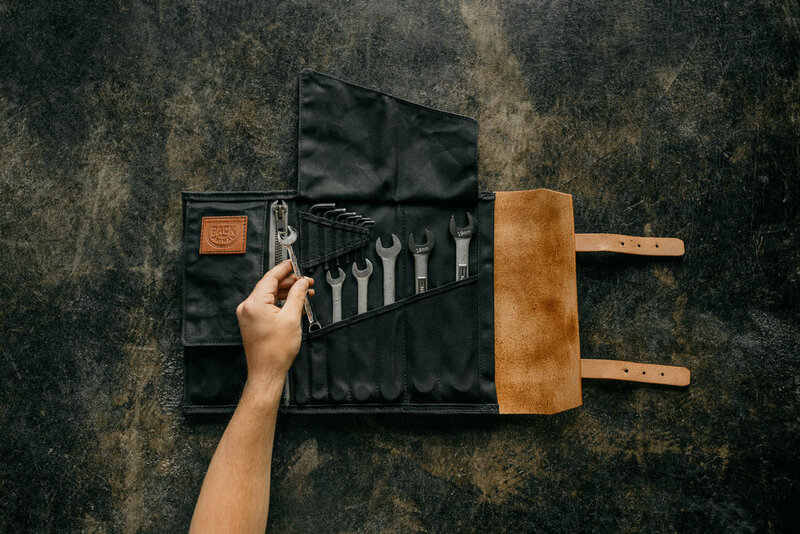 It’s been three years and we’re excited to now offer saddlebags, tool rolls, backpacks, a collection of small leather goods, and so much more to come. We’re SO pumped to come to Babes Ride Out 5 this year with a booth to show everyone what we’ve been up to, and I can’t wait to give all these ladies an opportunity to see if our bags might be the right fit for their next moto adventure!